One of the favourite travel destinations in Italy and Europe, Florence has a huge amount of things to see and do. Even though the city centre is pretty compact and easy to wonder, the best way to delve deep into its heritage and culture is with one of the best Florence tours. Skip the line in many of the most popular landmarks, learn about the history of the places that made Florence the birthplace of the Renaissance, drink in the narrow streets and alleys and explore the old quarter of the city’s traditional workshops. With one of the best Florence private tours, you can experience the city more than with a stroll along the Arno river. In about 2 hours and a half, this Welcome to Florence Walking Tour will introduce you to the wonders of one of Italy’s most famous cities. 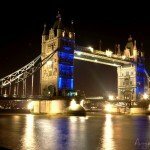 Your expert guide will give you a broad knowledge of the city’s history as well as precious tips on where to eat, what to visit and practical information to enjoy the rest of your stay. This Florence walking tour will start in the most touristy square, Piazza del Duomo, and will take you to other famous spots such as Piazza della Signoria, Ponte Vecchio bridge and Palazzo Pitti, as well as more local neighborhoods like Santa Croce and Oltrarno, the old quarter of traditional workshops and restaurants. The whole walking tour in Florence will be enriched by historical anecdotes linked to the places you will walk by, the life of artists and writers like Michelangelo and Dante Alighieri and tips on where to eat and shop. You will also sample a free ice cream at one of the best gelaterias, but as the walking tour in Florence ends around dinner time, you can directly stop at one of the best restaurants to round off your first day in Florence in the best way. This Florence guided tours will last 2.5 hours and the group is no more than people. One of the favourite Florence walking tours, VIP David & Duomo Tour takes you to visit Michelangelo’s David in the Accademia before the crowds and to climb the Duomo with a skip-the-line entrance. This VIP Florence tour will also give you special access to the Baptistery where all Florence residents were once baptized and the Duomo’s museum to admire the original facade and artworks from Donatello and Michelangelo. Your expert guide will also take you to a special tour of the Duomo where usually visitors aren’t allowed and to the Duomo Terrace to best admire the wonderful dome by Filippo Brunelleschi. This Florence private tour lasts around 3 hours and the group is maximum 15 people. With this 3 hours and a half best Florence walking tour you will walk to the top Florence attractions such as the Duomo, Michelangelo’s David at the Florence Accademia and Piazza della Signoria, you will learn the history linked to the powerful Medici family and of Ponte Vecchio bridge. An expert art and historian Florence private guide will reveal to you the working methods of the great Michelangelo, the stories behind the building of the Duomo and of the doors of the Baptistery in the same piazza. A big part of this Florence walking tour is precisely to wander around its streets and gape at the city’s wonders, squares and palaces that made its history. Any art lover on a trip to Florence can’t leave without visiting the Uffizi Gallery, and this Walks of Italy’s tour is perfect if you want to see the main masterpieces of this huge museum without wasting time looking for them and going straight to the paintings you’ve always wanted to see. This is a 2-hour art tour of Florence so if you have a limited time, you can still afford to visit this important and gorgeous gallery to see the paintings of world-famous artists such as Botticelli, Leonardo Da Vinci, Giotto, Caravaggio and Michelangelo among the others. Very importantly, included in the walking tour of Florence is also fast-track entrance to the Uffizi. This 1 day tour will show you all the main highlights of Florence in a day. It lasts a little more than 7 hours and it’s perfect if you are in Florence for very little time or if you want to have a broad glimpse on the art and history sights and spend the rest of the time enjoying the local food, shopping or just walking around the palaces and the streets that have made the city the birthplace of the Renaissance. With the help of an expert Florence local guide, you can visit the compact centre of the city and learn about the main landmarks in a day. Included in the Florence one day tour, are the skip-the-line tickets to some of the most important places such as the Uffizi Gallery and the Accademia for Michelangelo’s David. 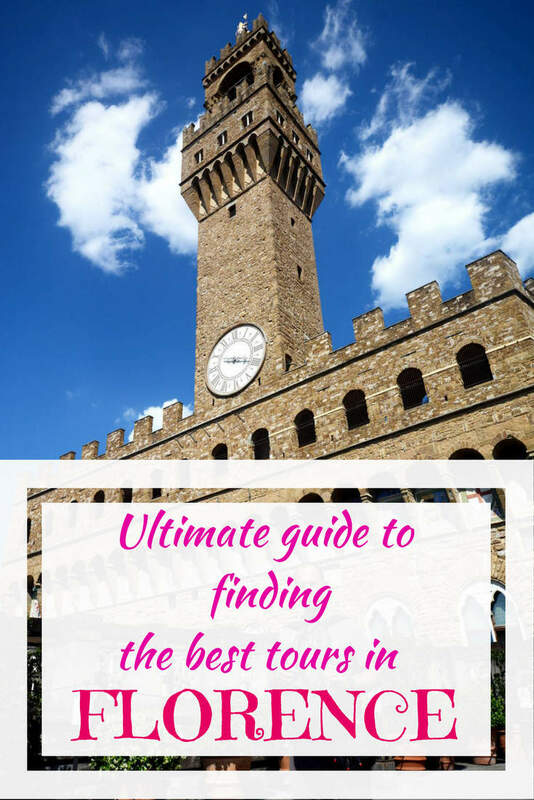 Among the sites you will visit are also Palazzo Vecchio, Piazza della Signoria, the Cathedral of Santa Maria del Fiore (Duomo), and obviously Ponte Vecchio bridge. This is a favorite among the best Florence tours and is especially recommended if you are short in time but still don’t want to miss on the world-famous works of art and historical places the city has to offer. Overall it’s one of the best day tours in Florence Italy. In this half a day tour, Walks of Italy will take to two of the most popular highlights of Florence. With a skip-the-line entrance to the Uffizi Gallery, you will have plenty of time to see the masterpieces of artists such as Botticelli, Giotto, Cimabue, Leonard, Tiziano, and Michelangelo, while at the Accademia you can admire Michelangelo’s famous David, the masterpiece that was originally in Piazza della Signoria. 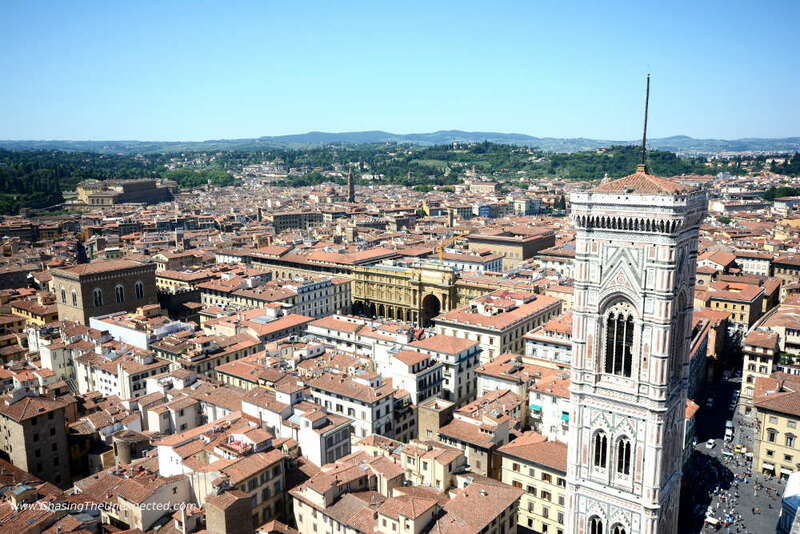 From outside, you will also walk by places such as the Duomo of Santa Maria del Fiore and its gorgeous piazza that also include the Baptistery and Palazzo Vecchio. You will start your tour quite early in the morning, so before the crowds fill the first two galleries you are going to visit. As this tour is only for half a day, you can ask your local guide for tips on what else to visit, how to enjoy the city, where to eat and where to shop. If you can’t see the Florence in a day tour, this half-day guided Florence tour is an excellent alternative. In little less than three hours, you will visit the Uffizi Gallery to admire the masterpieces of artist such as Botticelli with its famous Primavera and Birth of Venus, Michelangelo, Tiziano, Leonardo and many others, and learn how the history of art developed in the centuries. Your expert Florence guide will also take you to Palazzo Vecchio to learn about the powerful Medici family that ruled Florence for centuries and that counts among its members Lorenzo Il Magnifico, a clan that played a crucial role in the world of art and in the Florentine and Italian history. Explore Florence comfortably sitting on a double-decker bus on your terms and pace in this Florence bus tour. You can enjoy the city from the bus as much as you like, get off wherever you want and use both routes of the bus for unlimited travels. You can purchase a 24, 48 or 72-hour ticket depending on how long you are staying in Florence for and see the places you want along the routes. Included in the tickets are a multilingual audio and free WIFI on board. These bus tours in Florence are wheelchair accessible and have easy full refund cancellation policy. Instead of walking to Florence main landmarks, with this tour you will be travelling across the city centre by riding a Segway. One of the favorite Florence tours, you will save much time to go from a place to the other so you will likely manage to see many of the city’s highlights. Some of the places you will visit with your Florence tour guide are the Uffizi Gallery, Piazza della Repubblica, Brunelleschi’s Dome, and Santa Croce. ⇒ Tip: If you’d rather book online only the entrance tickets to skip the line instead of a whole tour, click here for the Uffizi Gallery and here for the Accademia with Michelangelo’s David. Just like every other place in Italy, also Florence and Tuscany are famous for their food and especially wines. 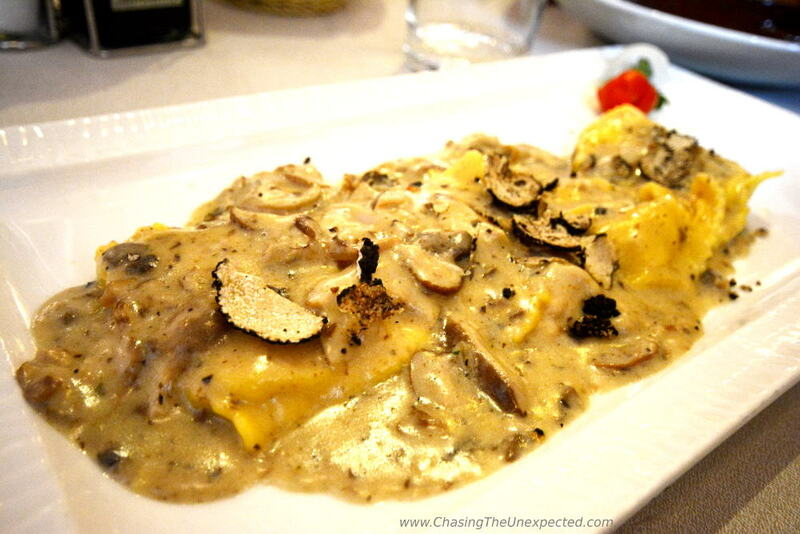 One of the very favourite food and wine tours in Florence is Dine Around Florence by Walks of Italy. You will discover the best bars and restaurants where you can taste the delicacies of each place with a local Florence city guide. In some 3 and a half hours you will tuck into the best local specialities like cheese, olive oil, focaccia, meat and the delicious Tuscan truffles in the most popular as well as lesser-known neighbourhoods and you will experience them in the Florence way, with aperitif and dinner in the places where local residents go, but only after a tour to a wine cellar. Round off a great dinner in the best and only way, with a gelato. This Florence food and wine tour will not only give you the chance to sample the local food but also to learn about the history and the tradition of such dishes. In this 4-hour food tour Florence organized by Eating Europe Food Tour you will discover the Florentine and Tuscan cuisine through plenty of tastings, including of their typical cold cuts, and many stops at authentic local eateries in the traditional Oltrarno neighborhood. Visiting families that have run restaurants for several generations, you will learn how to make the typical Tuscan cookies “cantucci” and what are the secrets of this delicious and old culinary tradition. 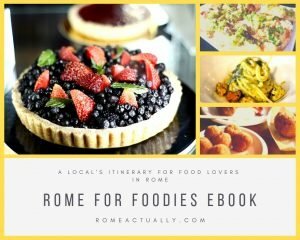 One of the very best food tours in Florence and one of the most popular too with high-rated customer reviews is the Authentic Florence Cooking Class run by Eating Europe Food Tours. In this food tour of Florence, not only you will learn how to make some easy Italian dishes with a professional chef, but you will also go grocery shopping with the chef and buy herbs and all the ingredients necessary to prepare your delicacies from local shops and markets. You will be learning and cooking at the chef’s own home and after the home-cooking class, you will enjoy lunch and wine to round off a perfectly authentic Italian experience. In this Florence food tour, you will experience an evening fully Italian style. How? Wandering the cobblestone streets of the Oltrarno traditional quarter in the lookout for the perfect place for an aperitif among some of the city’s best restaurants and bars. You will sample some tempting traditional treats like truffle cheese and cold cuts all paired with a glass of the right wine and you will also observe a live demonstration on how to make the perfect “bistecca alla Fiorentina”, the famous, huge, Florentine steak, which you can then taste. 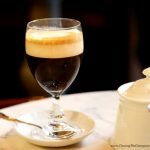 Alongside plenty of food tastings, you will also explore the quaint neighbourhood, visit some great deli shops and learn where to find proper artisan food, enjoy a great Negroni cocktail after watching its making and learn the history of the place as well as bits of the local food culture. Booking this food tour in Florence will take you to explore the Oltrarno quarter, traditionally the neighbourhood of Florentine artisans, and this involves both handicraft and food. Historically, it’s in the “botteghe“, workshops, of Oltrarno that many of Florence famous artists learnt their craft. And in fact, in this Florence tour, you will also discover the local crafts of leather-smiths, carpenters, tailors and printmakers as well as looking at their creations famous all over the world. Food-wise, you will sample plenty of savoury and sweet delicacies as well as taste local wines. You will try Florence street food and make your own Italian sandwich, enjoy an Italian breakfast with coffee and pastry, visit some workshops, and even see how the famous cantucci cookies are made. Without diminishing the historical and artistic overload Florence has been carrying for centuries, we should also admit that Tuscany has many other wonderful places to visit. 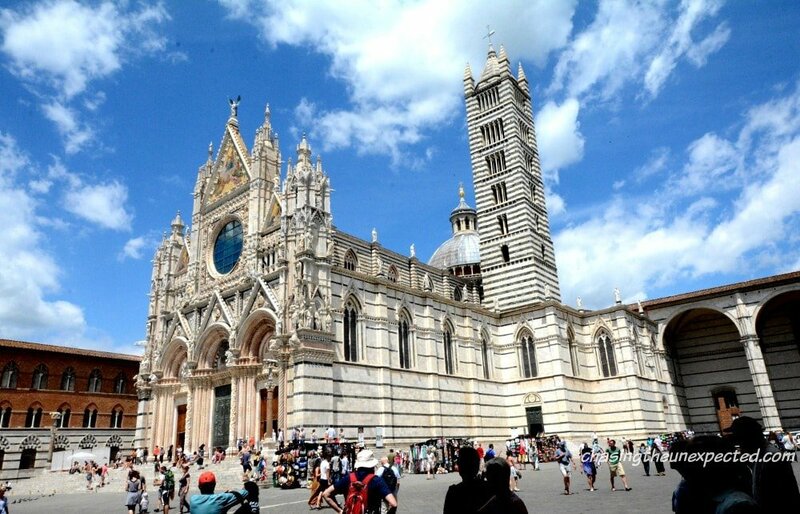 In this 10-hour Tuscany day tour you will explore the lovely medieval walled city of Siena where you will visit the stunning cathedral and the piazza where the famous Palio takes place twice a year, you will stare in awe at the views of the Tuscan countryside, you will enjoy a local meal in the Chianti region that includes also a tasting of their famous wines, and you will have the chance to visit the little gem of San Gimignano. After exploring new towns, sightseeing, enjoying a delicious meal and also having some free time to enjoy on your own, you will get back to Florence just in time for dinner. Another great day tour from Florence including plenty of food and wine is this one on “Get Your Guide” to Montalcino, Pienza and the famous Montepulciano wine region. In this pretty cheap tour from Florence, you will explore the gorgeous Tuscan countryside, you will taste the famous wines Brunello di Montalcino and of Nobile di Montepulciano, you will visit Val D’Orcia and stare at its wonderful landscape, and obviously sample some traditional foods. Visiting Florence with a private tour is more interesting than wandering by yourself. While you are going to be able to see most of the Florence sights independently, you might miss the history and interesting historical events that took place. If you are still not sure whether to visit Florence with a private tour or not, keep reading this top Florence tour reviews. Regardless when you visit Florence, it will be packed with tourists. This causes queueing to buy the tickets as well as queueing to enter Florence historical sights. Without guided Florence tours you can expect to spend anywhere from 30 minutes to 2 hours waiting in the lines to get a ticket for Florence sights such as the Accademia Duomo, Uffizi, and Palazzo Vecchio. But going with a skip-the-line private Florence tour, your ticket would be already taken care of and you will have private entrance access to cut out the crowds. Therefore, you won’t be wasting time waiting outside in the heat or cold. But that’s not all. Booking a private Florence tour will eliminate the confusions on where to start or where the most important art masterpieces are kept. So, again, you will be saving time and headache. Walking for an hour inside a 3 or 4-store building can get frustrating and boring if you don’t know what you are looking at, where to start and where the popular artwork is kept. Going without an expert Florence city tour guide, you also wouldn’t know the interesting facts about most works of art preserved in the galleries. It’s even worse when the art information board is occupied by other tourists. Booking one of the Florence Italy tours will speed up the process, eliminate any confusion, and make it way more interesting than walking on your own. As you wander through Florence’s streets and piazzas, you’ll discover masterpieces on every corner. And if you want to see as many places as possible, you will need experience Florence tour guides who know every inch of the city. They know which road to take and what to see first, second and so on. Although you can walk around without a Florence tour, you might miss many interesting facts on the road. Each building has a history and interesting facts which are only possible to know if you are led by top Florence tour guides. We recommend you to join one of these tours in Florence to experience the Florence of your dreams. These top Florence guided tours are designed completely around your requirements. They include best wine tours in Florence Italy, Florence food walking tour, day tours from Florence and more. All you need to take care of is a charged camera with plenty of empty space to take pictures because these destinations are breathtaking.